As per the result, the cut off predicted by us differs much with the original cut off. Its because of heavy competition from fresh candidates this year. The real (approximate) cut off is listed below. 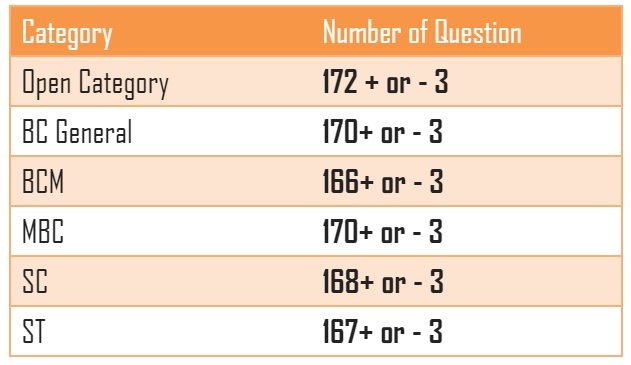 If you have the below number of correct questions, you have bright chance for the first phase certificate verification. 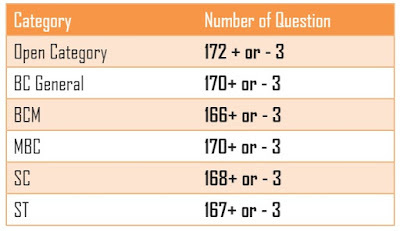 If your correct questions are 1-2 less than below given cut off, you may get chance in the second phase. We could see that the competition in the Group 4 exam is getting higher than the previous year exams. So, if you obtain low cut off this year , study hard to get your success in next exam. All the best ! The above Cut off analysis is made from the massive responses from 10,000 plus TPSCPortal Visitors through google form. Mr.Iyachamy has made this sincere analysis comparing with the TNPSC VAO and Group 2A exams conducted this year. On behalf of all TNPSCPortal website visitors, my sincere thanks to Mr.Iyachamy, author of www.iyachamy.com website. CLICK HERE to view the responses by TNPCPortal website visitors. Dear friends , I am pleased to inform you, our prediction has come well in TNPSC Group 4 Exam Result published on 22nd May 2015. All the best for the successful candidates. Dear friends, this TNPSC Group 4 Exam 2014 Cut Off Marks prediction is made from feedback received from about 5500 respondents who have filled the below feedback form. We thank all the TNPSC Group 4 candidates who have registered there valuable responses in the form. TNPSC Group 4 Exam 2014 Official Answer Key published www.tnpsc.gov.in. You can Download TNPSC Group 4 Answer Key of Private Coaching Centres from the below links. NR IAS Academy, Trichy has suggested TNPSC Group 4 Cut Off Marks as 150 (+ or - 5 correct questions) in their Group 4 answer key. Our Cut Off Prediction will be updated very soon . Tamilnadu Public Service Commission Published Announcement for TNPSC Group 4 Exam for the year 2014 on 14-10-2014. The vacancy notification included various posts like Junior Assistants (Security and Non Security Posts), Bill Collector, Field Surveyor , Draughtsman, Typist and Steno Grade III . About 1338254 candidates have applied for total 4963 vacancies. The candidates were asked to apply online mode before 12-11-2014. TNPSC Group 4 Hall Ticket was issued online in the www.tnpsc.gov.in website.